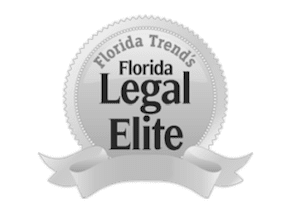 In Orlando and the rest of the state of Florida, a person is guilty of fraudulent use of a credit card if they deliberately use a credit card they stole and forged the owner’s name or claimed to have had permission to use it. Anyone who is accused of credit card fraud should have a skilled credit card fraud defense attorney defending them as soon as possible after discovering they are under investigation for fraud. These are serious charges that can have lasting effects. Internet credit card fraud: This type of credit card fraud occurs when a person hacks to obtain a customer’s information and uses the credit card information to make fraudulent purchases. Skimming: Skimming typically is done at ATMs so that criminals can see the numbers on people’s credit cards and then sell the information on the black market. Mail credit card fraud: This type of credit card fraud takes place when a person takes someone else’s credit card offer from the mail to authorize a new or replacement credit account. Charge-back: This type of credit card fraud happens when a customer uses a credit card to buy items and then claims they never made the purchase. Defense against intent to defraud: With this defense, the defense attorney argues that the individual did not intend to defraud the merchant from whom they made purchases with the credit card. The defense also commonly argues that the defendant made it clear to the merchant that they are not the credit card holder but do intend to repay the holder. Double jeopardy defense: This defense can be used when a person is charged with more than one offense. Therefore, if a person has been charged with credit card fraud and theft simultaneously, the defense attorney can argue that double jeopardy is in place and the case can be dismissed. There are various penalties for fraudulent use of a credit card in the state of Florida. They depend on the circumstances surrounding the situation, such as how many times a credit card was used throughout six months’ time and the amount spent on the card. A conviction for fraud can have lifelong consequences that will follow you well after you serve the immediate sentence. Even if you are not convicted, these charges will appear on your criminal record. Any employer who runs a background check will likely set your application aside the moment they discover your criminal past. At The Umansky Law Firm, our lawyers have over 100 years of combined experience practicing criminal law. We are former prosecutors that provide a unique perspective and close, personal attention to each case. Call 407-228-3838 or reach out to us online for a free case review.